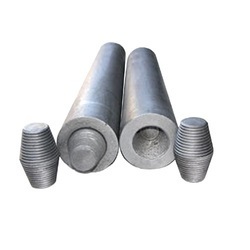 We are instrumental in manufacturing for our clients a commendable array of Graphite Electrodes that are demanded for their ease of use, long time service and options for wide ranging usages. Offered range also incorporates Ultra High Power Graphite Electrodes, High Power Graphite Electrodes and Regular Power Graphite Electrodes. These offered Electrodes are prepared by using LWG Furnaces, advanced machinery and latest techniques. Backed by its excellent attributes, this offered range is extensively applauded by our patrons. Addition to this, we ensure customized product for the gratification of esteemed clients. We are a well-recognised organization engaged in manufacturing, supplying and exporting a quality range of High Power Graphite Electrodes. 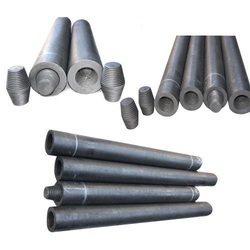 We bring forth an excellent assortment of Ultra High Power Graphite Electrodes that is featured by UHP Graphite Electrodes for AC/DC Electric Arc Furnaces and Ladle Refining Furnaces that are known for their optimum performance. Offered range of Ultra High Power Electrodes is manufactured under the strict vigil of experts and taking help from the latest technologies available at our base. Furthermore, this range is manufactured as per industry set guidelines to meet the global standards. For detail specification, refer attached pdf. We are a leading firm engaged in manufacturing, exporting and supplying a wide range of Regular Power Graphite Electrodes. Our range is featured by the high grade of electrical conductivity and the ability to tolerate the maximum heat generated in this demanding environment to our valuable clients. Rahul Industries offer 'Small Diameter Graphite Electrodes' which are used primarily in electric arc furnace steel manufacturing. 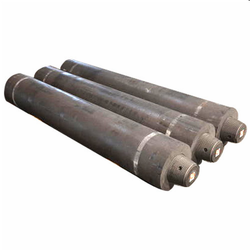 Graphite electrodes can provide high levels of electrical conductivity and capability of sustaining the extremely high levels of generated heat. 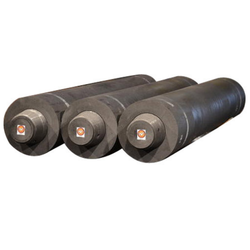 Graphite electrodes are also used in the refinement of steel and similar smelting processes. Looking for Graphite Electrodes ?